Steve Veit's entry into the pros was delayed but he still got some cash. After being drafted by the Astros late in the 1989 draft, Veit waited until the day before the next year's draft to sign, according to The Arizona Republic. Veit's father told The Republic the Astros gave him a $40,000 bonus to sign. He signed and started his pro career, but his career ended up being brief, just two seasons. 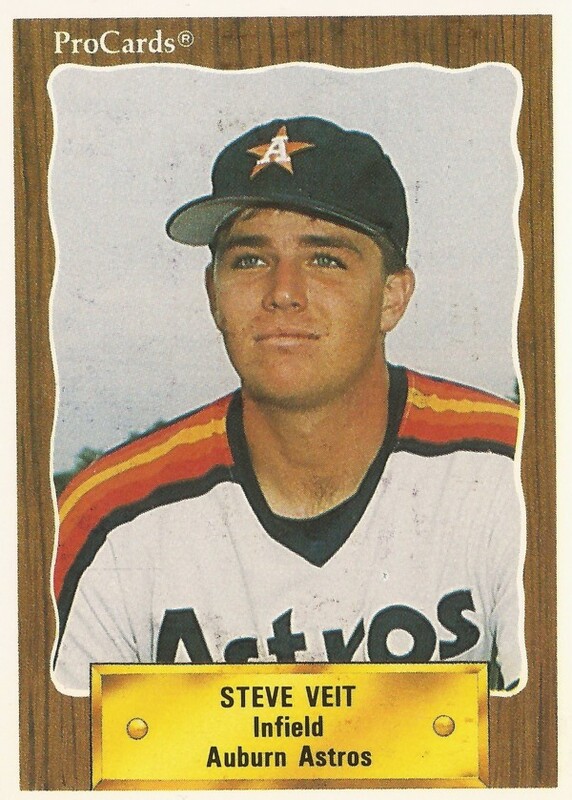 Veit's career began that year in 1990, having been taken by the Astros in the 33rd round of the 1989 draft out of Mesa Community College in Arizona. At Mesa, Veit played a lot. He still holds the record for at bats over his two years there with 435. He won all-conference honors both years. He started with the Astros at short-season Auburn. In 67 games, the first-baseman hit .225 with two home runs. Veit moved to single-A Asheville for 1991. In 71 games there, he hit .193, ending his career.